Aussie filmmaker back home after 15 months in Cambodia jail on accusations of spying. 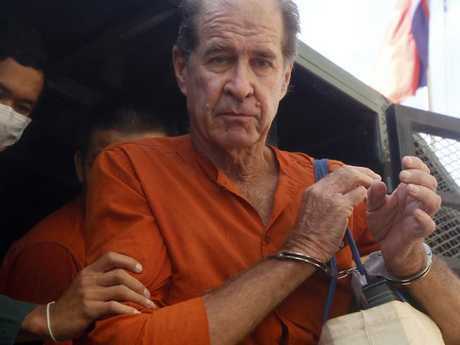 AUSTRALIAN filmmaker James Ricketson has landed on home soil but has promised he will return to Cambodia just days after being granted a royal pardon. Ricketson, 69, landed in Sydney on Sunday night just 48 hours after his 15-month stint in a Phnom Penh prison, where he was held on accusations of spying, ended with clemency from Cambodian King Norodom Sihamoni. "I'll be going back as soon as I can but I'll need to recover obviously," he told reporters. "I need to spend some time with myself and some time with my family. "But yeah, I'll be going back." The Australian Directors' Guild co-founder deflected questions about how his release came about but thanked Cambodian Prime Minister Hun Sen for recommending the king pardon him "for a crime I did not commit". He said there was "room for improvement" in the way the Australian government handled his case. "I'll leave it at that for the time being - I really need to go home and go to bed now," he said. "I do have a good story to tell but now, at the airport, is not the right time to tell it." Flanked by daughter Roxanne Holmes and nephew Bim Ricketson, the filmmaker said he was most looking forward to an ocean swim on return to his coastal home. Being lucky enough to have such an option in Australia is one of the key lessons Ricketson said he had learned living with 6000 other men in a maximum-security prison. Ricketson and his family are expected to hold a press conference on Monday morning. The filmmaker was sentenced on August 31 to six years jail for espionage in a trial that was widely criticised by human rights activists and politicians in Australia. He was arrested at a political rally in June 2017. 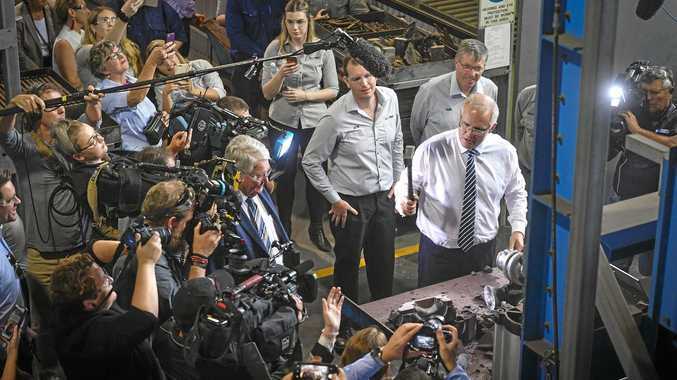 Australian Foreign Affairs Minister Marise Payne said the pardon meant the end of a distressing time for the filmmaker and his family. "I thank my counterpart, Cambodian Foreign Minister Prak Sokhonn, for his government's positive consideration of Mr Ricketson's petition," Ms Payne said.